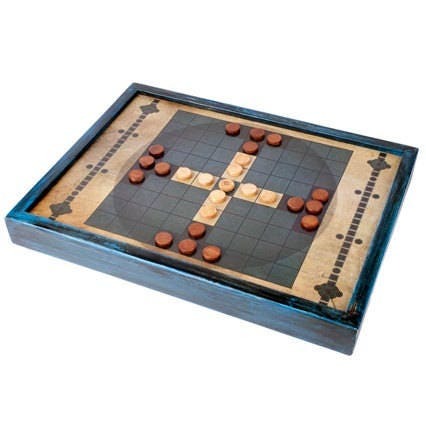 Now you can get these two tradicional board games for an amazing price!! 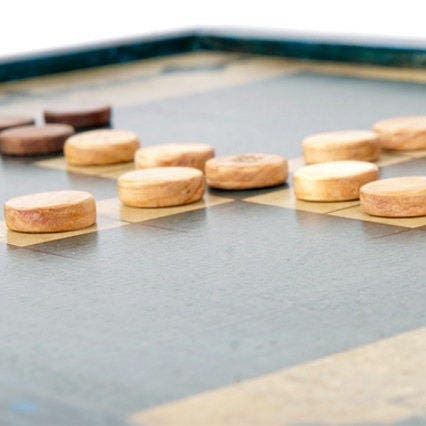 The Tablut is a fun strategy game for two players. It is an ancient celtic wargame that recreates a battle between two unequal forces. This board is handmade in wood and decoupage, and it's designed for you to hang it on the wall as if it were a painting. It also has a rear storage system to store the piedes and rules when you are not playing. Pieces and rules are included. The Royal Game of Ur was played with two sets, one black and one white, of seven markers and three tetrahedral dice. 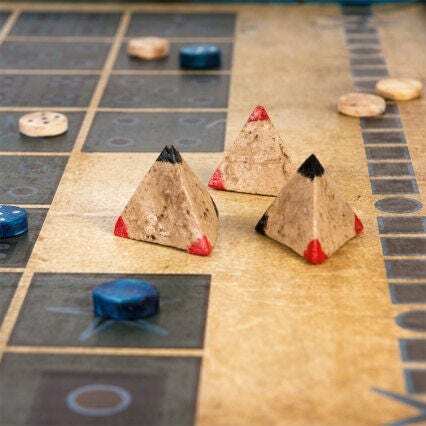 The rules of the game as it was played in Mesopotamia are not known but there is a reliable reconstruction of gameplay based on a cuneiform tablet of Babylonian origin dating from 177–176 BC by the scribe Itti-Marduk-Balāṭu. 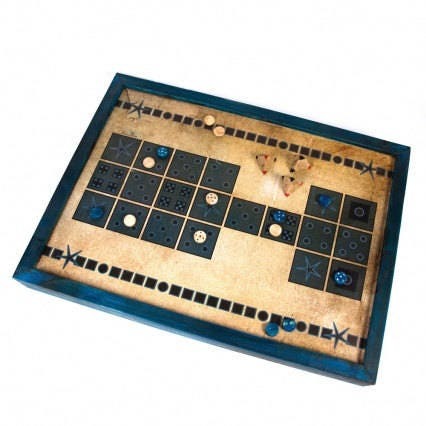 It is universally agreed that the Royal Game of Ur, like Senet, is a race game. This game is handmade in wood. You can pay your order through PayPal. The games for sale in Buxaina.com are not always in stock. When you make an order, we get down to work for you to receive it as soon as possible. The production period of a game may vary between 2 and 10 days, depending of the characteristics of the game. When the order is ready, we will send you an email informing you of the shipment and the shipping code for you to track the order through the transport company website. We live in Spain a we send our products from here. All our shipments are send by a transport company and the estimated shipping time for the service varies between 2 and 30 days, depending on the destination. The shipments to USA may be delayed because of the customs controls. We are not responsible for these delays. If you have a birthday, anniversary or special day and want to give one of our games, try to order it in advance. We do not want to spoil the party becaus the gift arrives late. If you get a damaged product, you should contact us through our e-mail (info@buxaina.com) and send us the number of the order and a picture for us to check the problem. Then, we will tell you the process of devolution and you will be able to choose between getting your money back or have a new product without additional costs. It is important too that when you receive your order, you verify the status of it in order to detect any damage due to transportation, so you can indicate on the delivery order to the carrier. In case you want to return a product, you will have 7 working days since the receipt of the package. You have to contact us via email (info@buxaina.com) and indicate the order number and the reasons why you want to return it. Once we receivethe product and we chek it's in perfect condition, we will proceed to a full refund through the same means by which you paid the order. Note thant the shipping costs will be assumed by the client. All the games in Buxaina are handmade and it's possible to order a custom game which it's adapted to your needs. For example, you can ask for a different color for the frame of a game, or you can include an inscription to impress in the product. If you want to order a customized game, you just have to wirte us (info@buxaina.com) and tell us the features of the product you want. We will send you a mail for telling you the costs of the customization and the steps to follow to order the product in case you finally want it. Of course, keep in mind that we can not accept returns on customized products.